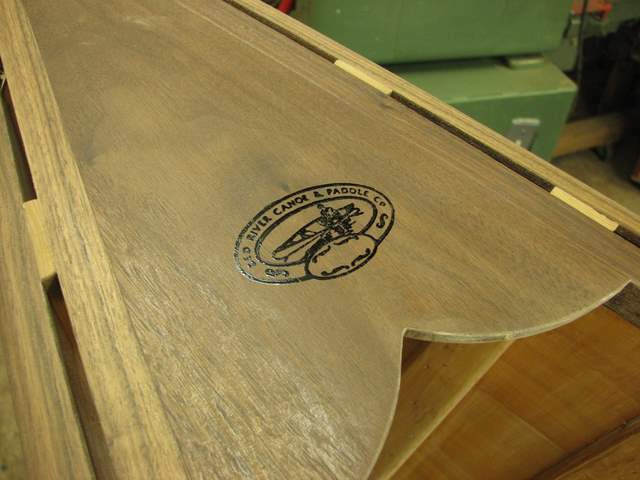 Here's how I get the logo onto the canoe decks, its the same method as for the paddles in case you were wondering. Some years ago I had two rubber stamps made with my logo, one large and one small. 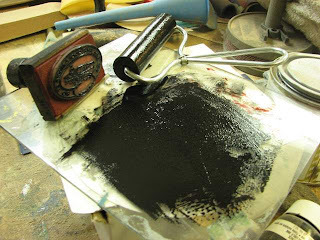 I use printmaking ink and a hard brayer (roller) to apply the ink to the stamp. It does not work to push the stamp into the ink as it will just smear into all the crevices and make a mess when you try and stamp it. A brayer just applies the ink to the design. 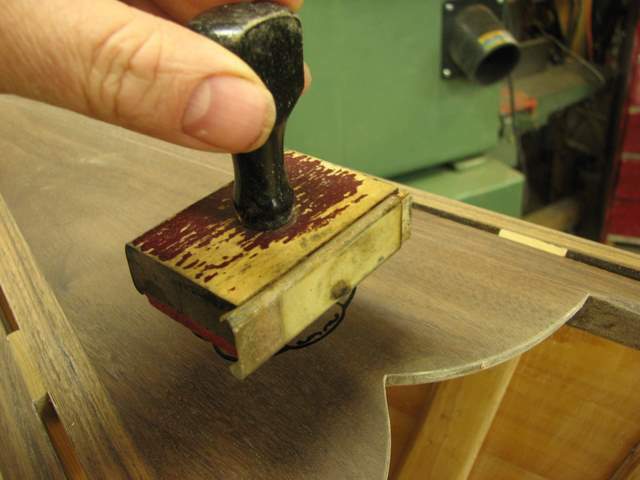 Carefully position the stamp and press firmly. Posted by Doug Ingram at 9:37 p.m.